The USS Wahoo pictured in July 1943 off Mare Island Navy Yard. Commanded by Dudley “Mush” Morton, Wahoo was one of the most successful American submarines warfare Commander of World War II. Four months after this picture was taken she was lost with all hands while attempting to exit the Sea of Japan after sinking four ships for a total of 13,000 tons. Her wartime total was 60,038 tons. The American fleet submarine may arguably be called the most successful naval weapon of World War II. The aircraft carriers got all the publicity, but it was the submarine fleet that destroyed most of the Japanese merchant fleet, isolating the home islands, crippling Japanese industry, and preventing resupply and reinforcement of Japanese island garrisons. From America’s entry into World War II after the Japanese attack on Pearl Harbor on 7 December 1941, until the Japanese surrender was signed on 2 September 1945, American Navy submarines were responsible for sinking more than half of all Japanese tonnage. This, despite the fact that the submarine forces comprised less than 2% of the Navy, and spent the first 18 months of the war battling the Navy bureaucracy over defective torpedoes. Submarines were widely used by both sides in both World War 2 as well as World War 1, as they were able to inflict great damage by sinking merchant ships and warships. These attacks made it difficult to transport goods resulting in severe shortages of materials and troop transfers. In a submarine, a small crew of sailors could do more damage than a battleship and at significantly less cost. Additionally, the WW2 submarine was able to sneak into enemy territory to transport agents and important cargo undetected. 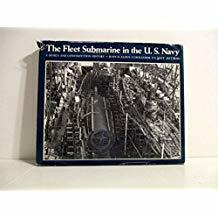 While we’re still a long way from achieving it, our goal at fleetsubmarine.com is to create the most comprehensive web resource on the American submarine forces in World War II. 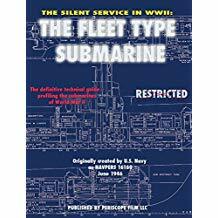 This will include an information page on every submarine that was active during the war—including the older boats restricted to training duty—a brief biography of every commander, technical information on the submarines and equipment, patrol lists, and so on. The discussion forum is up and running. We have a good start on a comprehensive Links collection and are actively searching for related sites. One of the consequences of a massive project such as this one is that there will, inevitably, be errors. If you run across something on one of our pages, please let us know. If you served in one of these boats and would like to add something to her page, we’d welcome the contribution. What was the average cost of a WW2 submarine? While this is difficult to answer because there were several shipyards producing subs and prices varied by shipyard, the average cost of a U.S. submarine was about $3 million according to Navy documents. What was the use of submarines in WW2? In WW2, U.S. attack submarines inflicted heavy damage to Japan. While comprising less than two percent of the U.S. Navy, they sunk over 30% of Japan’s navy, including 8 aircraft carriers. During that time submarines strangled Japan’s economy by sinking 60% of the Japanese Merchant Marines which was a total of 5 million tons of goods. Why did WW2 subs have to surface to recharge their batteries? Diesel-electric submarines that were used in that time ran on batteries underwater and those batteries had to be recharged by the onboard diesel engines. The diesel engines had to be run on the surface because of the exhaust. How many American submarines were lost in World War II? 52 submarines were sunk and 3,500 men were lost in WW2. Did the submariners bathe on WW2 military submarines? There was very little room on WW2 submarines and there was one water closet, which was seldom. It was more important to ration fresh water for drinking. When the sub surfaced to recharge the batteries, the crew would bathe in the ocean. How long can a World War II submarine stay underwater? The limit would depend on the size of the sub and the number of people aboard, but the limit would probably be 48 hours, though 24 hours would have been unpleasant due to CO2 buildup. How did submarines in WW2 fire torpedoes accurately while submerged? Periscopes were used to observe where the enemy was located. Calculations were made as to how far the ship was and how fast it was traveling. Since the calculations aren’t an exact science, a number of torpedos would be fired in sequence a few degrees apart to hit the target. How did WW2 submarines escape enemy ships chasing them? Subs would use a series of evasive maneuvers and/or drop below the thermoclime which is where the water is colder and denser due to salinity and is also more reflective making it harder to see the sub. Why were not WW1 and WW2 submarines painted blue to help avoid aerial and surface detection? Even if a sub could be painted the same color as the water, the wake would give up its location. 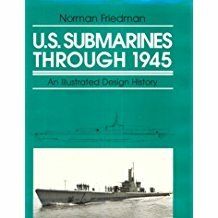 In WW2, what were the advantages of American submarines over the British, Japanese, and Germans? The most important advantage was the SJ surface search radar that gave an ability to track the enemy up to 25,000 years. On the nose of a torpedo, there is a projecting pin that upon impact will explode the contents in the head of the torpedo. Why is the German U-boat not called a submarine? The U-boat was an abbreviation for the German word “unterseeboot” which means “submarine” or “under the sea boat”.